At The Student Property Shop, we're always on the lookout for quality houses and flats to rent in popular student areas around Leeds. In return we offer a comprehensive and professional property management service that is second to none. Having been in the property let business for many years we have the right experience and knowledge needed to take the stress out of letting your property for you. We can help with everything from assessing your rent to offering advice on refurbishment and property investment. Our property management services are focused on finding you the right tenants and getting the most out of your property investment. So, if you have property in or around the Leeds student areas of Hyde Park, Headingley, Burley, Woodhouse, city centre and Kirkstall and you want a first class property management service to start generating a profit from it, contact us today. We have a dedicated management team that can help with any questions and talk you through the full process, just give us a call: 0113 274 1160. The Student Property Shop has been involved in letting properties for many years. We have the experience to deal with all types of properties in all sorts of markets. Our rental valuation is not exact, but we should be able to provide you with a value at which you feel we could successfully market your property. Whether it is eye-catching, distinctive boards and advertisements, we will ensure that properties are prominently and effectively featured to stand out. All properties are marketed through our office in Leeds ensuring optimum local coverage and promotion of your property.The more exposure your property receives, the greater the chance of a quicker let for the best price. We offer the following services to Landlords – each is flexible; we can treat each property separately, or treat your whole portfolio in the same way. Marketing of your property via window displays and display boards, both at our office and off site. A one-off fee is payable for this service. Marketing of your property via window displays, display boards, both at our office and off site. The fee for this service is calculated as a percentage of the monthly rent received (i.e. if the property is empty for any reason no fee will be charged). We can search for an investment property on your behalf and/or manage the refurbishment, interior design and furnishing of property. The fee for this service is calculated as a percentage of the overall refurbishment costs. We are able to negotiate special management rates for Landlords with large property portfolios. Contact our Lettings team for a no obligation chat about your current arrangement. Advice on any work required to bring the property up to current standards as required by the new law passed on 6 April 2006 under the Housing Act 2004. We will visit your property and draw up a comprehensive inventory. This will cover all fixtures and fittings, furnishings, general décor and overall condition of the property. A one-off fee will be charged per property (discounts available for multiple properties). We offer a service to landlords who have already found their tenants but require someone to draw up the tenancy agreements on their behalf. The fee for this service is calculated on a per-tenant basis. Choosing a letting agent is a tricky business, there are many cowboys out there. You want an agent who knows their business, is organised and Communicative in delivering what they say, as you will be developing a business relationship with them. So, choose the agent who gives you the most helpful information, who is prompt with providing correspondence following the valuation. Our expert valuers carry out hundreds of valuations every month, giving us intimate and unparalleled knowledge of the rental market in your Leeds. This is why we consistently achieve the asking price across our clients' properties. We are dedicated to presenting every single property at its very best, regardless of price. Our in-house team of specialist 'Photographers' process every new property in just one visit and have all information on the website within days. If you are a landlord, it is well worth remembering this! Presenting your property in the right way can make your property stand out from the competition, avoid nasty “void periods” and enable us to let it for the maximum rent. PRESENTING YOUR PROPERTY WELL IS CRUCIAL TO LETTING! As a letting agent, there is nothing worse than turning up for a valuation where a landlord has purchased a brand new apartment/house and then dressed it with cheap, inappropriate floor coverings, basic paper lamp shades, second hand white goods and cheap vertical blinds. Investors, surprisingly, often do this!!! It can have a detrimental effect to not only the letting of the property but also the value of it. Spending a little more money on flooring, curtains, light fittings, bathroom fittings and supplying good white goods can make all the difference. As a rule, most unfurnished properties come with carpets, curtains, light fittings, bathroom fittings and white goods in the kitchen. If it is a furnished property, landlords can supply all the larger items of furniture such as beds, settees, wardrobes etc but in some instances it is beneficial to supply soft furnishings including, bedding, crockery and cutlery. 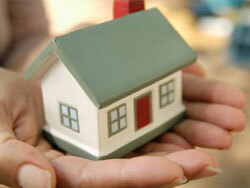 We are always happy to give landlords advice on the above in order that they achieve the best possible rentals. Here are some tips for presenting your property. Make sure it is clean and tidy, including windows. Carpets should be as plain as possible and in a good clean condition. Try to keep gardens as low maintenance as possible. Keep the property warm and welcoming in winter months and cool and airy in summer months. Stay on top of minor maintenance (before, during and after any tenancy) and redecorate where necessary. Bathroom and Kitchen floorings should be ceramic tiling, vinyl or laminate NOT carpets. Try to provide as much storage as possible. If you own a flat that doesn’t have built in wardrobes, we recommend having some put in. Remember! 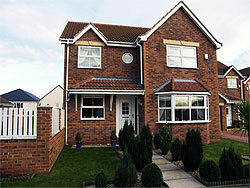 A well presented property will let quickly and achieve the maximum return on your investment. The Student Property Shop is proud to be an accredited member of the unipol codes of standards scheme. We strive to provide landlords and tenants, with an assurance that they will receive the highest level of customer service. Interested parties contact us if they wish to arrange a viewing. We make certain they are matched to your ideal tenant requirements and that they are genuinely interested in your property. We do this to avoid conducting any unnecessary viewings. You will be informed when there is a viewing request via email, SMS or telephone. We are open at times to suit our tenants to encourage maximum viewing opportunities. 35% of our viewings are carried out during evenings and weekends. Our office is open from 10am to 6pm Monday to Friday and 11am to 3pm Saturdays. We have thousands of high calibre private and corporate tenants and we work with some of the world's most admired corporations, finding homes for their key personnel. When an offer is made to us by a potential tenant, our expert negotiators work tirelessly to ensure you get the right deal. 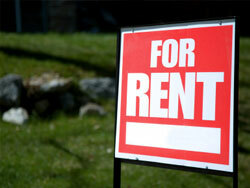 As a landlord you are responsible for the well being of your tenant. There are a number of checks and certificates that you will need to provide us with before a tenancy can begin. These include insurance, gas, electrical, furnishings and fire alarm issues. We are here to help you through this process and provide you with all the necessary information and contacts. Instructing The Student Property Shop to manage your property guarantees round-the-clock care for both your property and your tenant. After finding you a tenant, we take care of both them and you throughout the tenancy, including everything from collecting rent and handling all administration to assistance with more complex issues and the provision of a 24-hour emergency helpline. 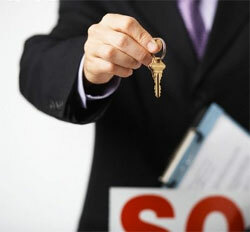 To achieve a smooth running tenancy it is essential to have a professional agreement in place. We will draw up the relevant paperwork based on years of experience, ensuring all the necessary documents are signed by both parties. We keep all of your details on record and, as with the majority of our landlords, hope that when a tenant decides to move on, you won't. We can re-market your property at the push of a button and aim to avoid any void periods in your cash flows by our attention to detail and commitment to providing you the best service. Once we are happy that everything has been covered, the keys are handed over and the tenancy commences. 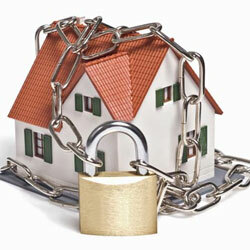 You can be sure we will be doing all we can to let your property! We offer both short and long term let’s providing owners with flexibility to ensure maximum rental return and offer a solution to landlords when the market is slow. Landlords have a legal duty to maintain all appliances and flues, which you have provided for your tenants to use and have them checked for safety at least once every 12 months by a CORGI registered installer. The Regulations place a duty on the landlord to ensure that all gas appliances, flues and associated pipe work are maintained in a safe condition at all times. Before any lease commences, it must be ensured that the gas safety check has been carried out on each appliance and flue within the 12 month period before the tenancy commences, or has been or will be carried out within 12 months after the appliance or flue was installed, whichever is later. Under these Regulations, a landlord's duty to maintain and check appliances does not apply to gas appliances which are owned by the tenant, nor to any flues that only serve such appliances. The 1991 Smoke Detectors Act requires that all new houses that have been built since 1992 must, by law, have a smoke detector installed. The minimum requirement being one smoke alarm on each level of the building. ENERAL SAFETY. That all electrical equipment supplied is safe. INSTRUCTIONS. Where the safe use of the equipment relies upon the user being aware of any particular characteristic, suitable information or instruction booklets should be provided. The instructions should be given in English. LABELLING. 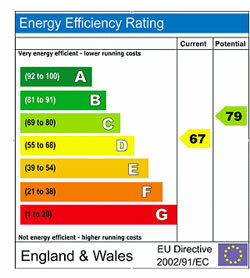 The 1994 Regulations require that any equipment supplied in the EEC after 9th January 1995 shall be marked with the appropriate CE symbol (subject to the Transitional arrangements below). In practise, the CE labelling requirement only applies to manufacturers when equipment is first placed on the market. TRANSITIONAL ARRANGEMENTS. 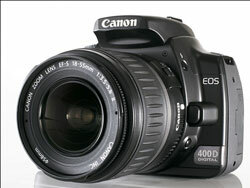 Equipment supplied in the letting of property will thus be supplied equipment already placed into the supply chain. The transition arrangements allow the supply of electrical equipment which either complies with the provisions of the 1994 Regulations or complies with the provisions of the 1989 Regulations. Thus letting agents may continue to provide non CE labelled equipment as long as it is compliant with the 1989 Regulations. Identifying furniture which does not comply?